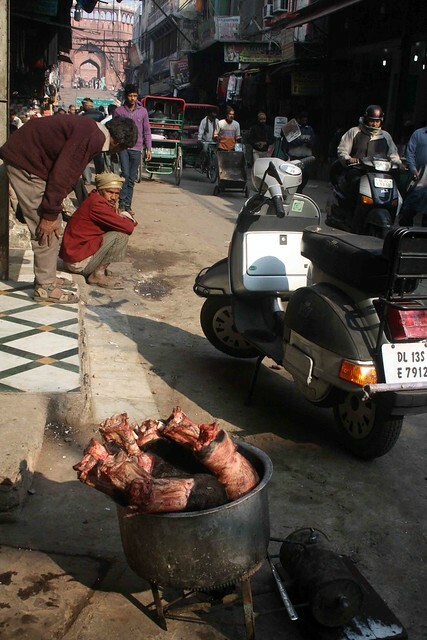 The alleys of Old Delhi’s Chitli Qabar bazaar throw up incredibly kaleidoscopic sights in winter mornings. 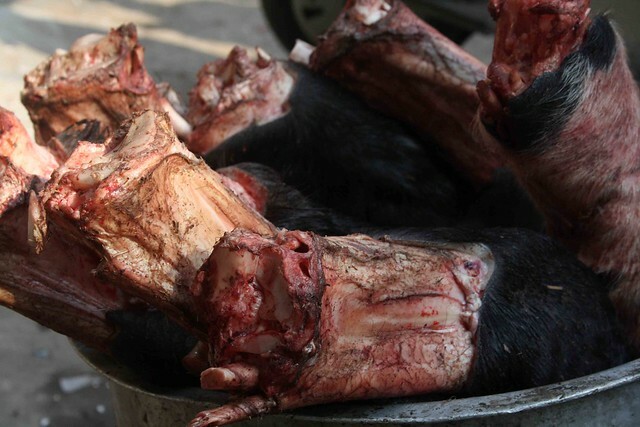 There are hawkers selling, among other things, buffalo legs, or paya. 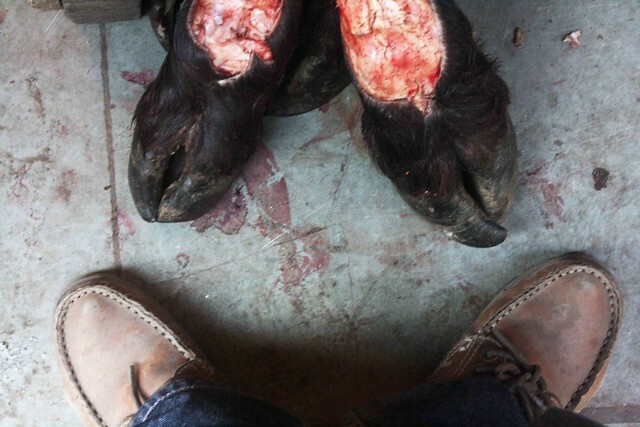 Stacked in straw baskets, the blood-soaked legs are still intact — its hide, hair and hoof gives it a feeling of being so alive that you feel they might start walking any moment. 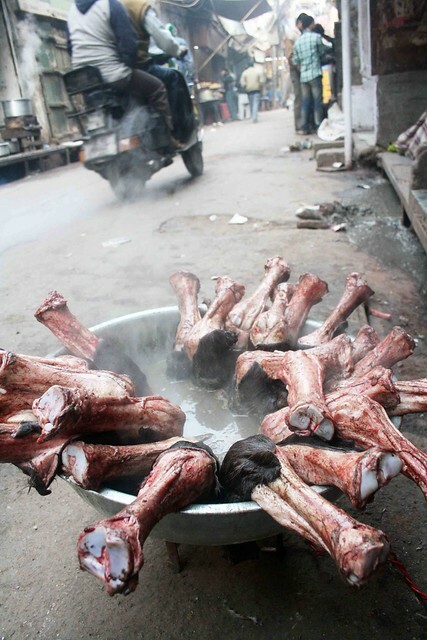 As it takes time to cook the meat, some payawallas sell semi-boiled legs to time-conscious customers. 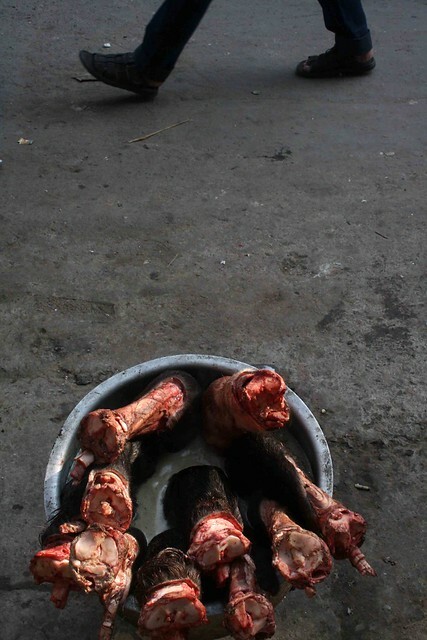 Often simmered on the pavement itself, the legs are arranged in a circle inside a water-filled utensil, which is balanced on a small stove. The steam coming off from the container wafts into the air and mixes harmoniously with the January mist/smog. A soupy, gelatinous dish, the paya is believed by its fans to be especially beneficial for the elderly who suffer from weak bones. 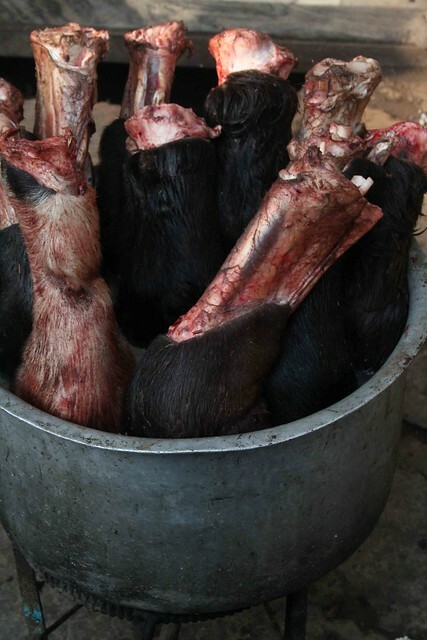 A lot many Walled City eateries serve dishes like nihari and paya in the morning (7.30 am onwards). 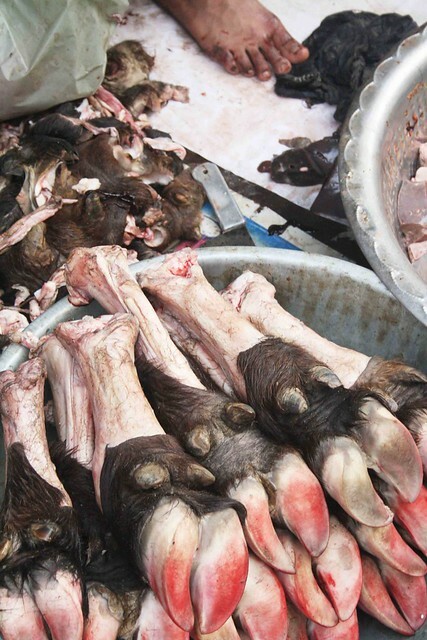 However, in famous restaurants like Karim’s, the paya is made from the legs of a goat. Ideally garnished with coriander, green chillies, shredded ginger, browned onions, lemon, and desi ghee, paya goes best with tandoori roti. 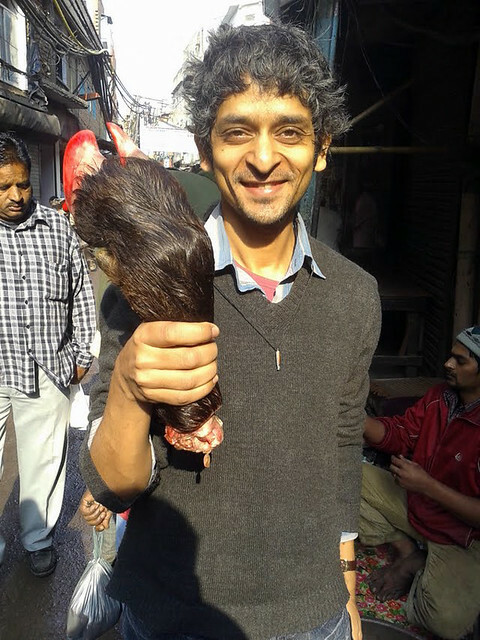 Visit the Chitli Qabar bazaar in the morning if you want to see people shopping for buff legs. If that’s not your scene, drop by Nanhe Babu’s pavement stall just outside the shrine of Mirza Mazhar Jan-e-Jana for a delicious plate of paya, available daily from 5 to 7 pm. tried cooking paya at home once- from scratch. Never again. Now, for my paya fix I take me to a restaurant!